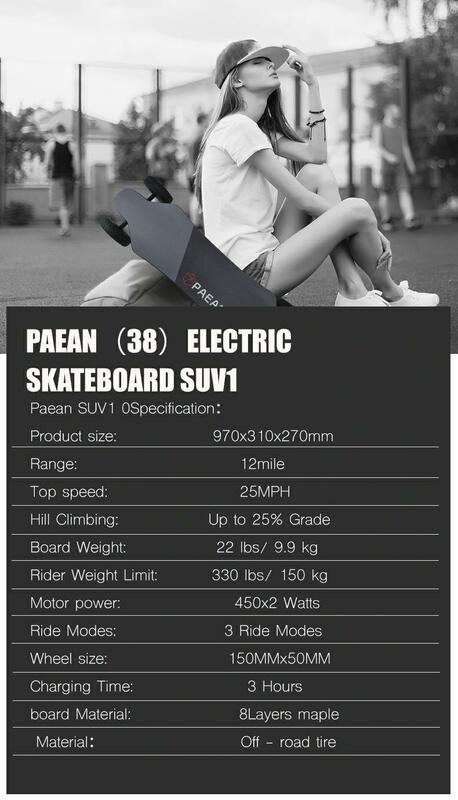 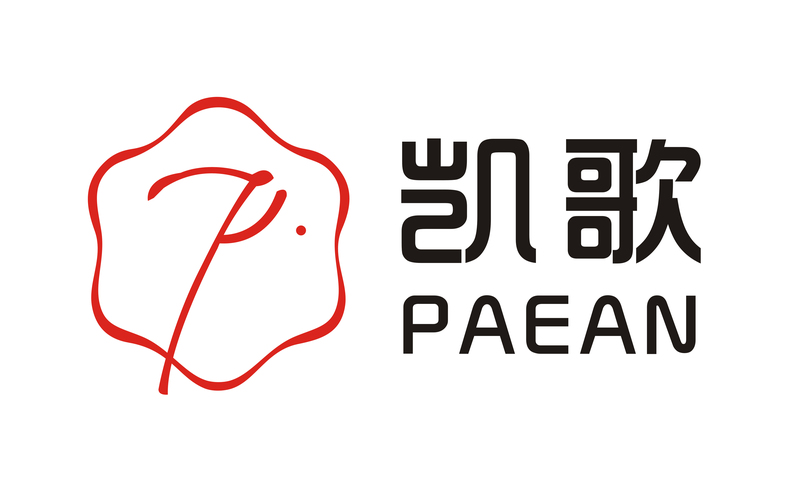 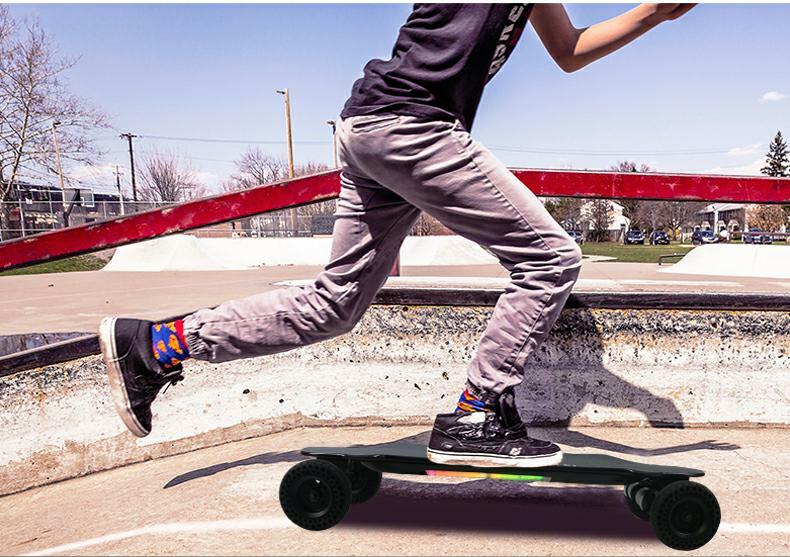 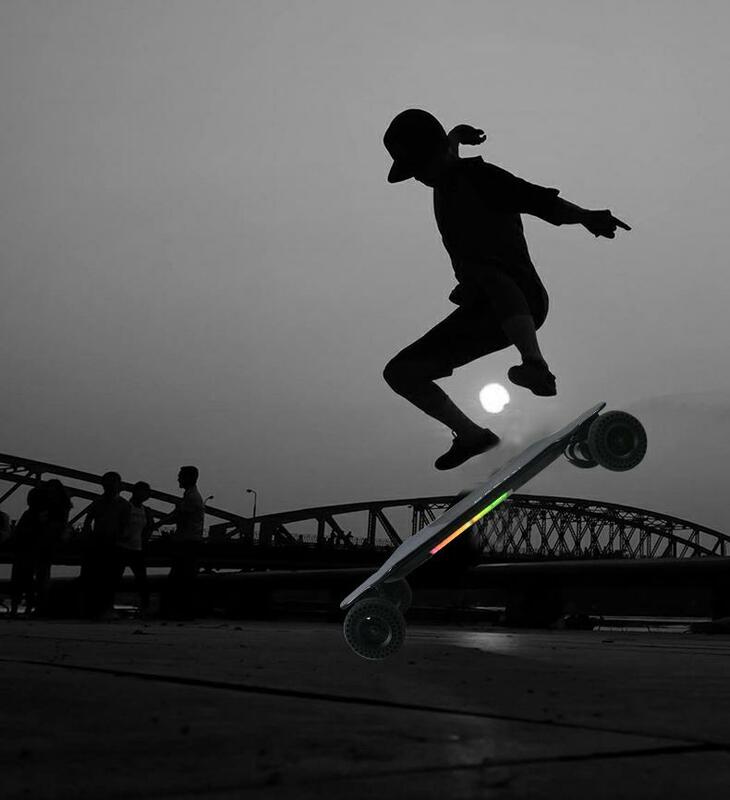 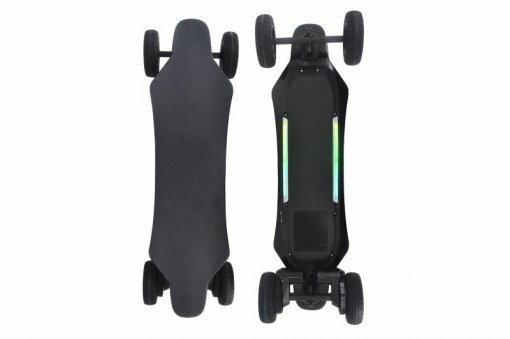 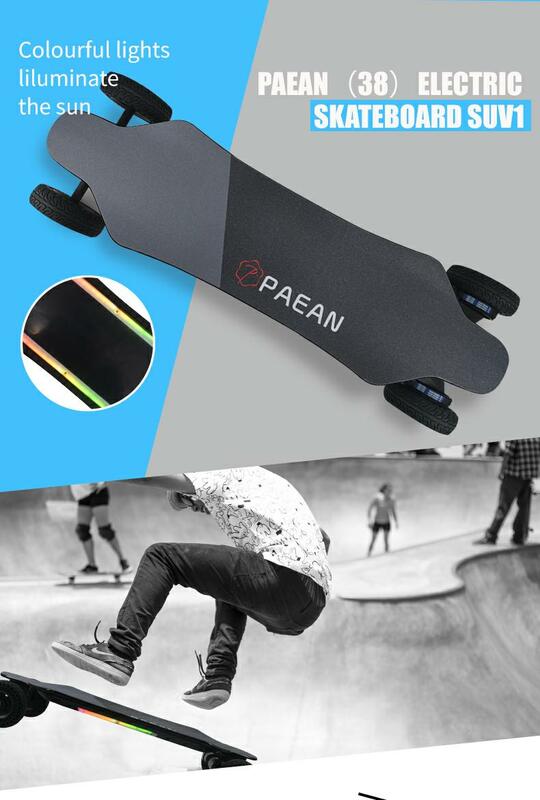 PAEAN (38) Electric Skateboard SUV1 has all-terrain tires that can be used on more difficult roads. You can also switch the PU wheel at any time, you can choose the mountain and flat mode, making the driving process more interesting, suitable for adventurous players. 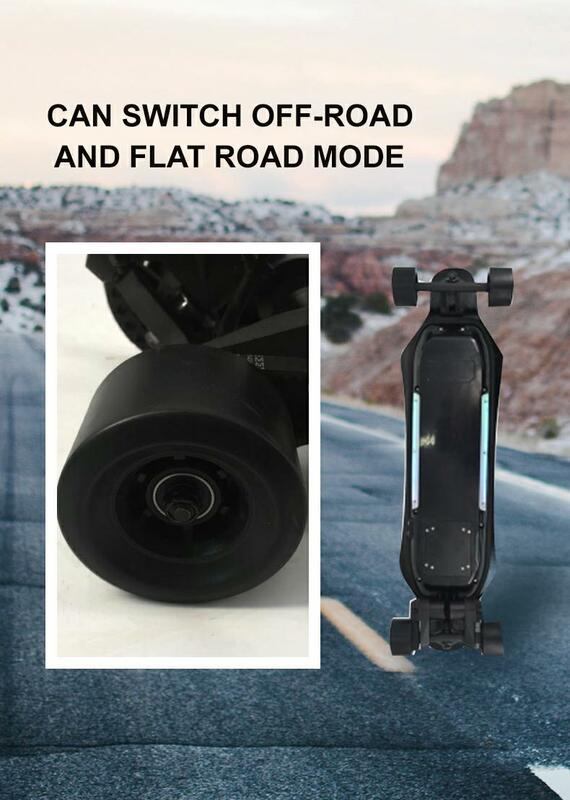 You can switch PU wheel and off-road wheel at any time. 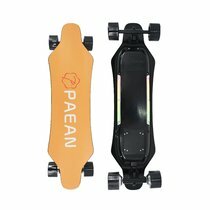 Service:If the water is not covered, it will be fine. 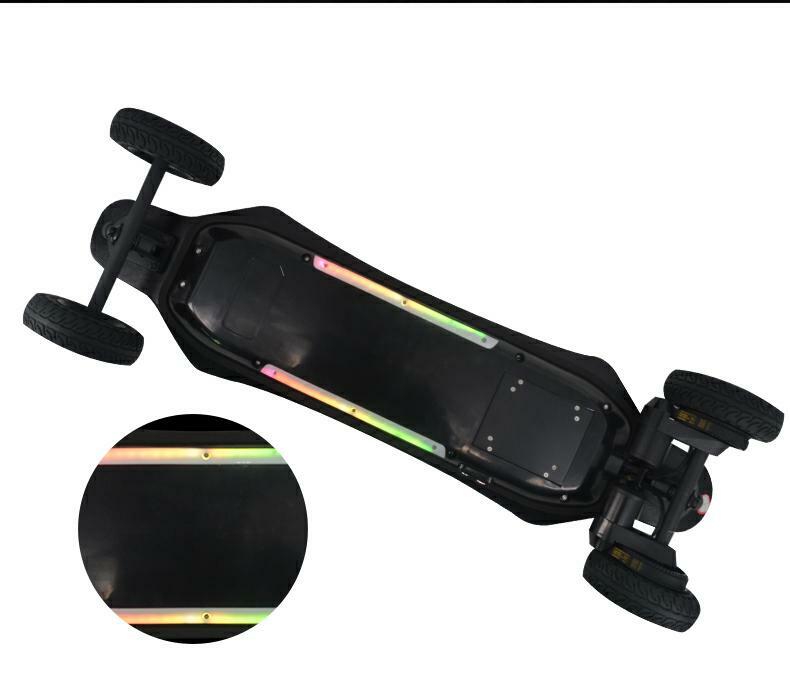 I noticed your H2B boards battery are a bit faulty....does the SUV1 board have the same issue?...and also what are the details on it?.. 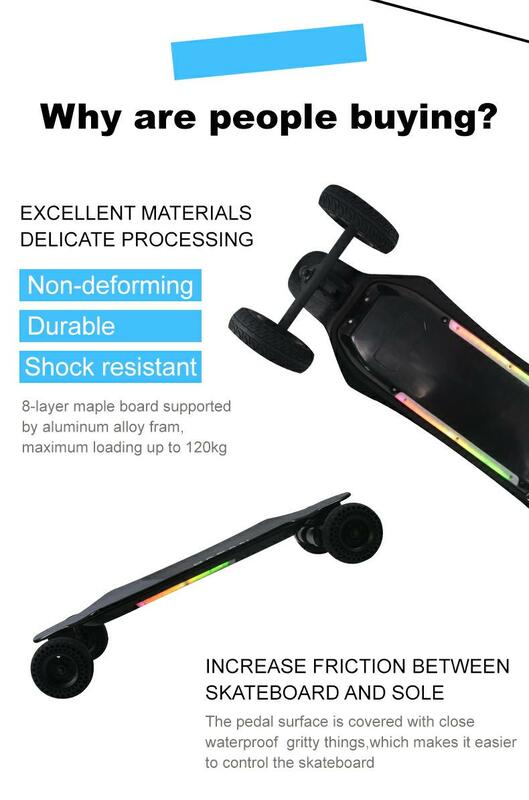 how fast?..how long is battery life? 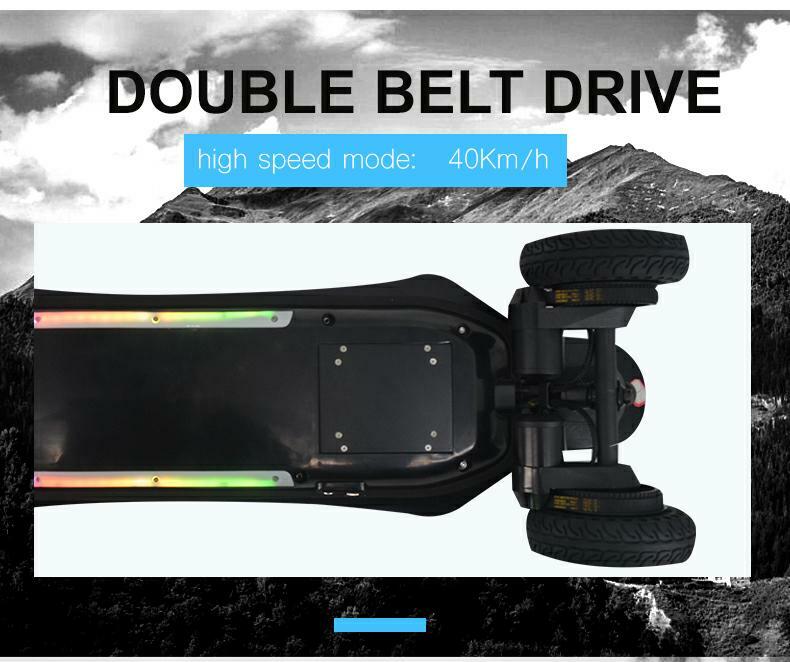 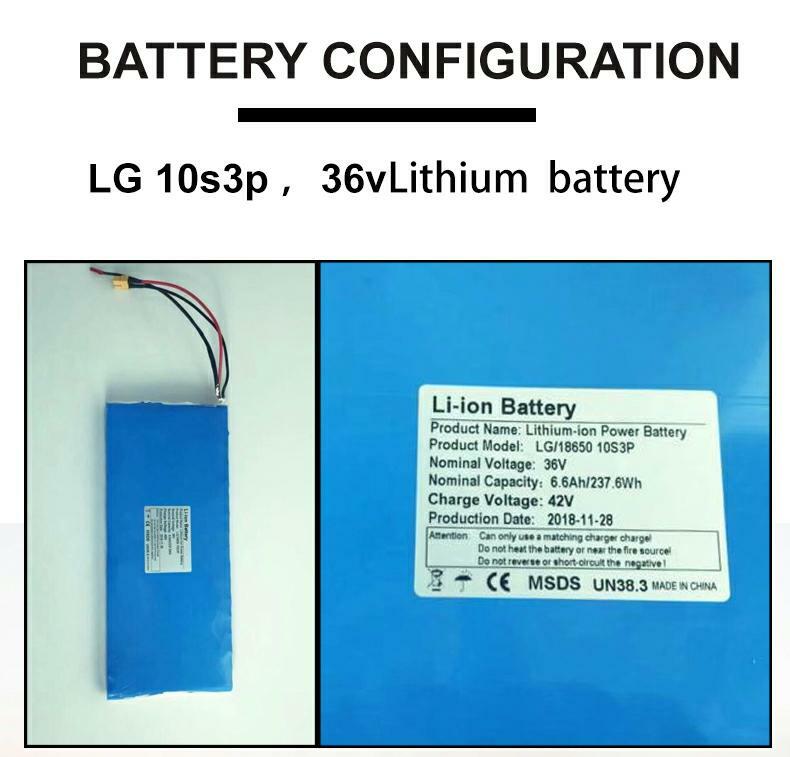 Service:We are updating all the information, SUV1 is using LG 10s3p battery, speed 25MPH, cruising range is 25km/16mile There are lanterns on the bottom, there are two sets of tires, you can switch off-road mode and PU wheel at any time.